USC, short for the University of Southern California, appeals to students because it’s an elite academic institution situated downtown in one of the hippest cities on earth: Los Angeles. What’s cooler than going to class at a super prestigious university and then seeing movies on the weekends before the rest of the country?! Not much. According to USC’s “About” page, “An anchor institution in Los Angeles, a global center for arts, technology and international business, USC’s diverse curricular offerings provide extensive opportunities for interdisciplinary study and collaboration with leading researchers in highly advanced learning environments.” Basically, USC has it all. In fact, USC was recently ranked 15th by the Wall Street Journal of 1,061 public and private schools, among only two other schools from California in the top 25‒Stanford and Caltech. So, as you can see, USC is an impressive university, and as you might imagine, it’s not super easy to get into. Before we jump into a thorough overview of exactly what you’ll need to get accepted, here are some quick facts on USC. Historically around 16-18%, but 13% for the fall of 2018. USC requires that you take the SAT or the ACT, but you can certainly submit scores for both tests if you prefer. USC’s score submission policy is “highest section,” which is also referred to as “superscoring.” Through this policy, you get to choose which scores get sent to which schools, and admissions readers will only consider the highest scores in each section across all the tests you sat for. If you take the SAT, you must take the Essay section of it as well. The 25th percentile for USC SAT scores is 1360. This means that if you score a composite 1360 or below, you will be below average compared to the students admitted to USC. The 75th percentile for USC SAT scores is 1540. This means that if you score a composite 1540 or higher, you’ll be above average compared to the students admitted to USC. Knowing what scores to aim for in each section can help you put an effective SAT study plan in place, and help you target areas most in need of improvement. So, at the end of the day, if USC is your dream school, we suggest that you take the SAT as many times as necessary to get a composite score of 1540, or as close to it as possible. Think big–aim for the perfect SAT score. 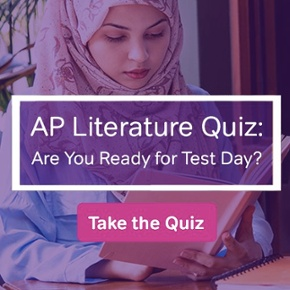 Since the score readers will only see your highest scores, they’ll have no sense of how many times you took the test, and this won’t reflect poorly on you. If you take the ACT, you must take the Writing portion as well. You can choose exactly which ACT tests you’d like sent to USC, so admissions readers will only see your highest scores. So, what do you actually have to get on the ACT to have a strong chance of getting into USC? This means that if you score a 30 or below overall on your ACT, you’ll be below the average of accepted USC students, but if you score a 33 or higher, you’ll be above average. So the gist is that it’s in your best interest to take the ACT as many times as necessary to score a 33 or higher if you want a very good chance of being accepted. Again, aiming for perfection on the ACT is a pretty good strategy if you start early enough! Historically, USC’s acceptance rate for undergraduates is about 18%. However, for the last several years, the acceptance rate has steadily dropped, reflecting the reality that it’s becoming increasingly difficult to get into USC. According to a recent piece published in USC News, “USC sees record number of applicants for fall 2018 admission,” the acceptance rate decline is in large part because of the “unprecedented surge” of in applications this year. Astoundingly, 64,000 students applied, a 14% increase over last year! Of that pool, 8,200 students were admitted to the class of 2022, making USC’s admissions rate a shocking 13%, a full 3% lower than last year… and the lowest admissions rate in history! At the end of the day, this is good news! USC is thriving, and should you be admitted, you’ll be attending one of the most selective colleges in the country. But it also means that you’re going to have to really stand out as a candidate if you want the chance to call yourself a Trojan! In looking at USC’s freshman profile for the class of 2021 and USC’s freshman profile for the class of 2022 (who will start school this upcoming fall of 2018), this much is clear: accepted students are increasingly impressive academically as well as more diverse than ever! As discussed in a USC News piece about the class of 2021, “USC’s freshman class sets record: More first-generation students than ever,” 17% of all incoming freshman were first-generation college students (meaning the first in their family to ever attend college), and about two-thirds of that incoming class were students of color. Additionally, the class of 2021 had the highest standardized test scores in history! The USC News article, “USC sees record number of applicants for fall 2018 admission” has tons of comprehensive information on USC’s class of 2022, but here is some of the most notable data on these students. 85% have standardized test scores at or above the 95th percentile. 60% enrolled in seven or more Advanced Placement and/or International Baccalaureate courses in high school. Nearly 800 are non-native English speakers. 25% are Asian, 16% are Latino, and 6% are African American. 26% are from underrepresented minority populations. They come from 3,287 different high schools. 39% of students came from California. After California, the leading U.S. states for students are, in order: Texas, New York, Illinois, Washington and Florida. They come from all 50 states, the District of Columbia, Puerto Rico, Guam and American Samoa. 17% of students are international, representing 87 countries. After the United States, the most represented countries are China, India, South Korea, Canada, and Brazil. You can find way more admission statistics in the articles linked above, but again, the trajectory of admissions at USC is accepting a highly diverse and academically impressive group of students. Letter of recommendation (from either your school counselor or a teacher); applicants to the School of Cinematic Arts must submit 3 letters of recommendation. Your academic promise. In addition to test scores and GPA, it’s important to note that most admitted students are in the top 10% of their graduating class. The more challenging classes you take, the better, especially if you receive high grades in them; this indicates that you can keep up with the academic rigor of the courses at USC. Your personality, values, and character, as reflected in your essays and in your letters of recommendation. According to admissions, “Your application will paint a picture of you and how you might contribute to the community, tradition, and spirit that make USC the dynamic place it is,” so the more you can stand out from the crowd, the better! “Pursue activities that you’re passionate about, not activities that will supposedly impress colleges. When reviewing your activity summary, USC doesn’t evaluate how well-rounded or busy you are. They want to understand what makes you tick. Show dedication and commitment over time to specific areas of interest. Highlight what matters to you and why it matters. Does USC use the Common App? It sure does! The Common App, which stands for the Common Application, is a universal undergraduate college admissions application that many schools use. Arguably, the most important part of the Common App is the essay portion, so here’s a guide to writing an impressive common app essay that will make your application stand out! Does USC accept AP credit? The short answer is yep, it does! USC will award 4 hours of elective credit for all AP exams earning a 4 or 5. For more information, check out this page about AP credit at USC. Does USC accept spring transfers? Yes, unlike a lot of other schools, USC accepts mid-year transfers during their freshman year. Here’s more specifics on how to transfer to USC. Yes. What this means is that USC does not take your need (or lack thereof) for financial assistance into consideration when reviewing your application. USC also offers plenty of financial aid options in the form of scholarships, grants, and more. This is a great overview of the interview process at USC, but the short answer is that USC does not require them. Interviews at USC are optional (and in fact, not everyone who requests one will get one), and are intended to help you gain a better understanding of the school. Your interview will be included in your application review, but it won’t hurt you not to have one. In fact, USC encourages requesting an interview only if you’re someone who feels you’re “better in person” than on paper. How to get into USC? Let’s recap! Demonstrate participation in extracurricular activities, particularly in leadership roles, if possible. 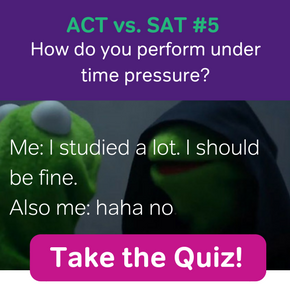 And of course, in order to do well on your SAT and ACT, start studying as early as possible! 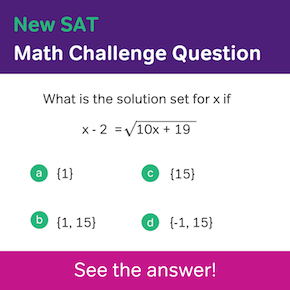 Check out this 1-week SAT free trial as well as a great 1-week ACT free trial to get you started!